The quadrant is easily made at home with a printable protractor, a string and a weight. 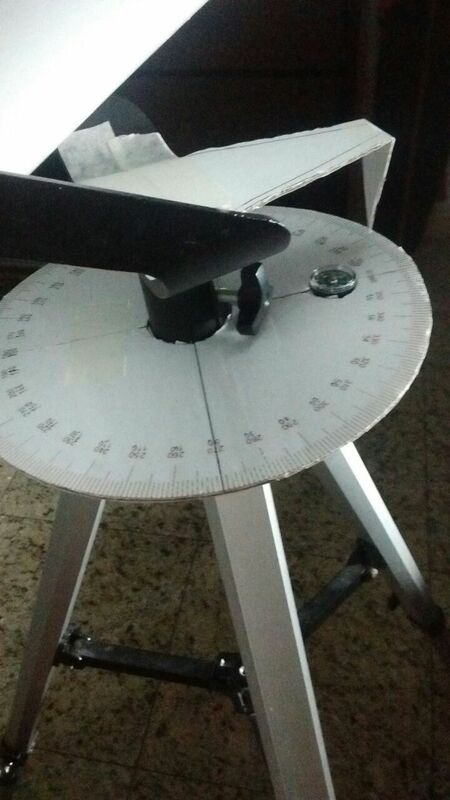 Just make sure that you remove all the numbering on the protractor before printing since you need to write the angles yourself. If you don't do this you won't be able to read the angle measured by the string with ease because they will be upside down. 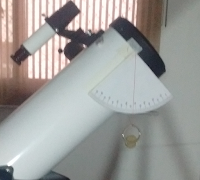 When the telescope is parallel to the ground the angle of 0 degrees should point directly downwards. The string should hang from the center of the circumference. If these steps are taken precisely, the instrument should display incredible accuracy. This azimuth marker, on the other hand, isn't quite so accurate but it's still very reliable. It was made with two separate cardboard pieces with half a circle cut into them so that the entire disk would fit through the mount. The triangular cardboard piece is used to find the azimuth angle at which the telescope points at. Admittedly, the dry compass didn't work well enough to be useful. I found way more practical to align the angles using a reference point with known azimuth angle, like the moon. With this system I was able to find objects in the sky that are hard to find. Only using the quadrant and azimuth marker could I find faint objects like the omega centauri globular cluster, which looked like a white milky slightly pink-orange blurry spot on my telescope.